Happy New Year! I am excited for all the changes taking place in the coming year. Over my 29 years in ITE leadership positions, visiting 25+ student chapters, I have seen many of the current leaders ‘grow up’ in ITE; from knowing them as student members/leaders and now become peers in the workforce and taking on high-level leadership positions. One of these ‘rising stars’ (before there was an official ‘Rising Star’ award) was a Director with me and Jennifer Rosales this past year; Alyssa Reynolds Rodriguez. I met Alyssa in the late 1990’s when she was the Student Chapter President at Montana State University. Upon graduation, she was hired by Rich Romer for the Las Vegas office of Orth-Rodgers. When Alyssa was District President, Rich passed away from a battle with cancer, but Alyssa saw to it that his legacy as a supporter of students lived on by naming the Endowment Fund after Rich. He would have been so proud to see the next generation of enthusiastic, energetic, motivated, dedicated students in transportation and to see them have successful careers in transportation. With the help of the Endowment Fund, and past and future leaders like Alyssa, we have an even more exciting future ahead! A little EF History– Ten years ago, the Endowment Fund was initiated by then-District President Zaki Mustafa. He appointed Pat Gibson as the first Administrator of the fund. 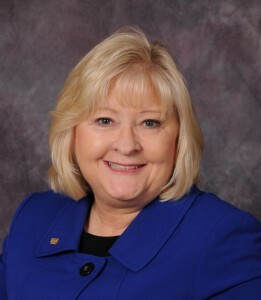 Pat built upon the endowment fund idea from Montana State University and brought it to the District level. 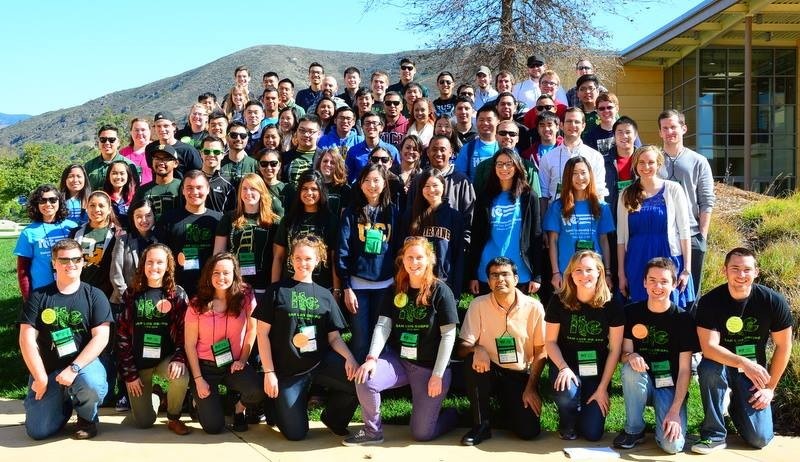 This Fund was established as a source for student members to attend District meetings, TRB conferences and the extremely successful Student Leadership Summit. 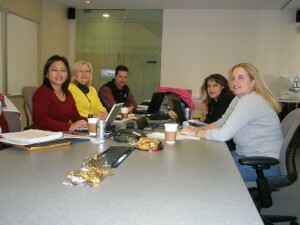 Other objectives were to expand the student awards program and various student initiatives. After Pat completed his term, Cathy Leong was appointed as Chair in 2007, and I served on her Committee along with Julie Townsend, Michael Sanderson and Jennifer Rosales. We met twice a year at the District Board meetings, to brainstorm ideas of how to promote contributions to the Fund and how to promote student involvement. Now that Cathy is serving as District President, Kimberly Leung is chairing the Endowment Fund Committee and taking on the task of attaining the goal of having $500,000 in contributions. As of today, we are almost there at $440,000! SLS – see you there! The Student Leadership Summit is an event that brings ITE students to a Western District university in order to develop their leadership abilities, as well as improve their career development while creating friendships with fellow students. The location of the Summit varies each year and is an on-going passing of the torch from university to university in the Western District. This Summit offers the chance for leaders from the transportation industry to share their expertise in how to be a successful leader and create a successful career. I was asked to present on my 30-year career as a traffic/transportation engineer in the public sector, working for a local government agency; the City of Phoenix, Arizona. Student Traffic Bowl – The Student Traffic Bowl competition is held at the ITE Western District Annual Meeting between student chapter members. The objectives of the Student Traffic Bowl are to: encourage students to become more active members in the Institute; enhance their knowledge of the traffic/transportation engineering and planning profession; gain knowledge of the Institute itself; strengthen the programs of the ITE student chapters, and most of all; have fun and network with fellow students. 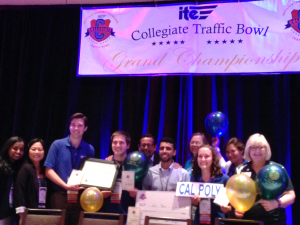 The winning team of the Western District Student Traffic Bowl will go on to compete in the Grand Championship ITE Collegiate Traffic Bowl at the International ITE Annual Meeting in Anaheim from August 14-17, although I hear Cal Poly SLO is set on repeating the Grand Championship Title they earned in 2015 at the International Annual Meeting in Florida. I am reserving a front row seat, so come and join me! This will be the first year since 1987 that I will not be on an ITE Board at some level. I also intend to retire from my 30-year career with the City of Phoenix, Street Transportation Department before the end of 2016. Just like the inevitable process of replacing me at the City, I am being replaced as a leader in ITE. 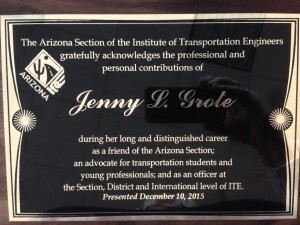 Last month, at the Arizona Section Holiday gathering, they surprised me with a plaque acknowledging my support of students, young professionals and my many years in offices at all levels of ITE. 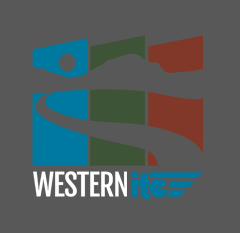 The Section will be awarding a $1,000 scholarship in my name to a student in transportation at an Arizona university. I am honored beyond words! Advice for my replacements…keep up the good work that many of us old-timers dedicated our careers and volunteer time to. I gladly step aside and am happy to let the next generation take the reins, but be sure to balance your work life with your personal life and… Carry On!